Lourda and Lourdata in Kefalonia. The pleasant tourist resort of Lourdata lies halfway between Argostoli and Skala. The village has in recent years become increasingly popular. I understand why: small-scale tourism still dominates, the surroundings are lovely (Mount Enos keeps a sharp eye on the area) and the beach of Lourda is absolutely stunning, actually it is so fantastic that I think that Lourda Beach is the second best beach on Kefalonia, after Myrtos beach. Lourda beach is waiting for you. The beach is wide and extensive and is covered with light sand mixed with gravel. The water is crystal clear and inviting. Sun beds and umbrellas are available for rent. 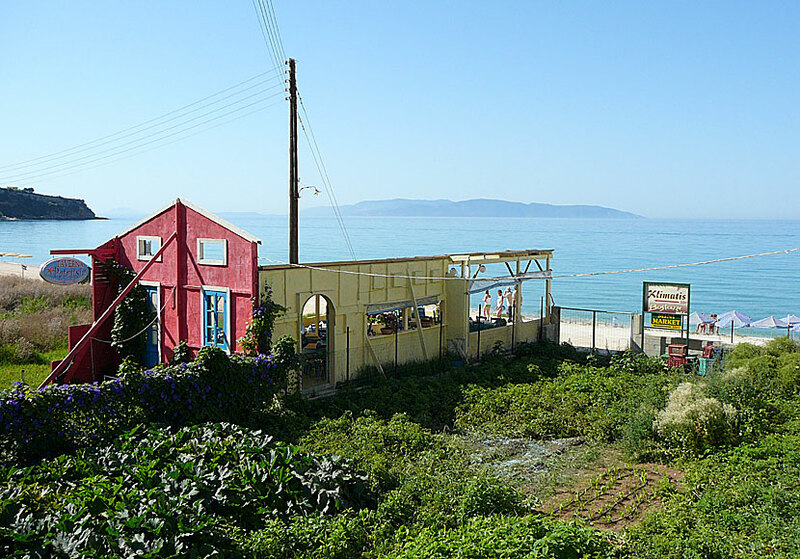 There is a few tavernas and mini markets at the beach. 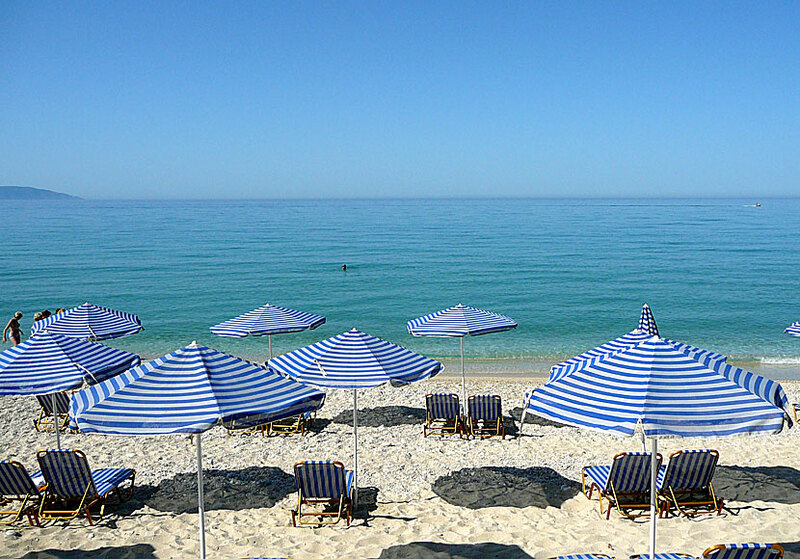 You can go by beach bus once an hour to Lourda beach from the village of Lourdata. 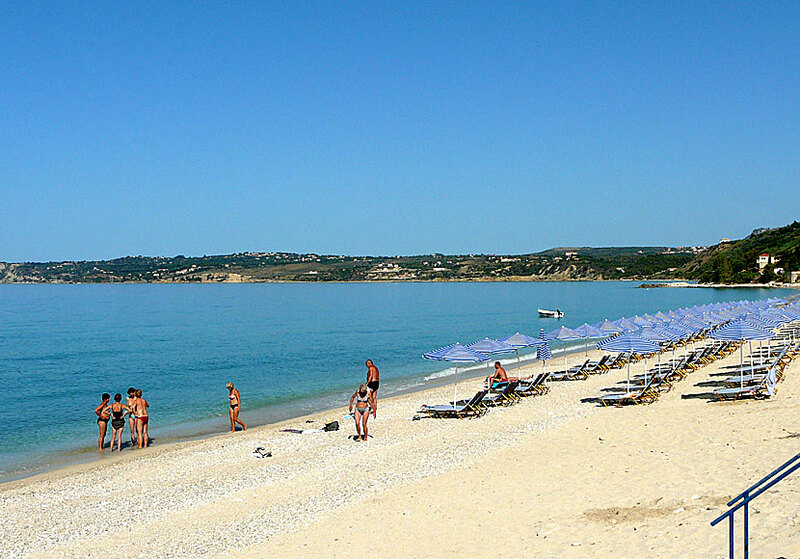 Lourda beach lies between Argostoli and Skala. There are no hotels at the beach, but quite a few in Lourdata. So if you want to stay close to a really nice beach, this is where you should stay.